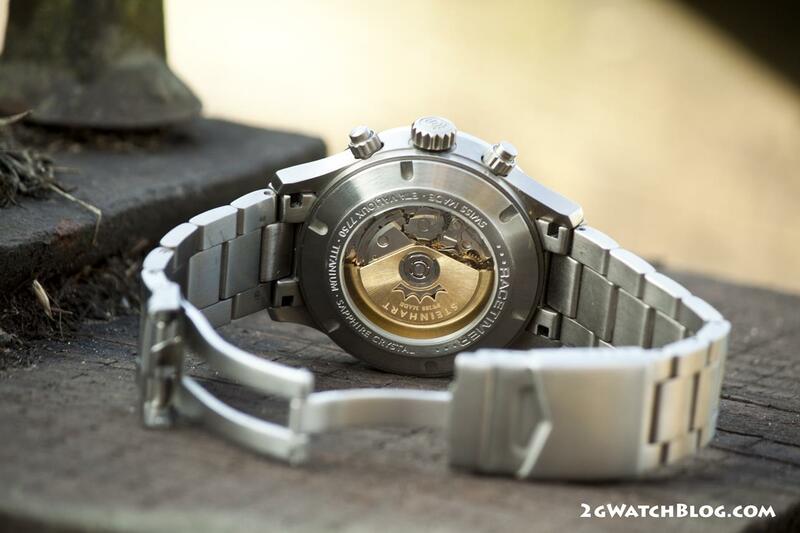 I invite you to another portion of short descriptions and cool photos of watches that we don’t meet in Poland every day. 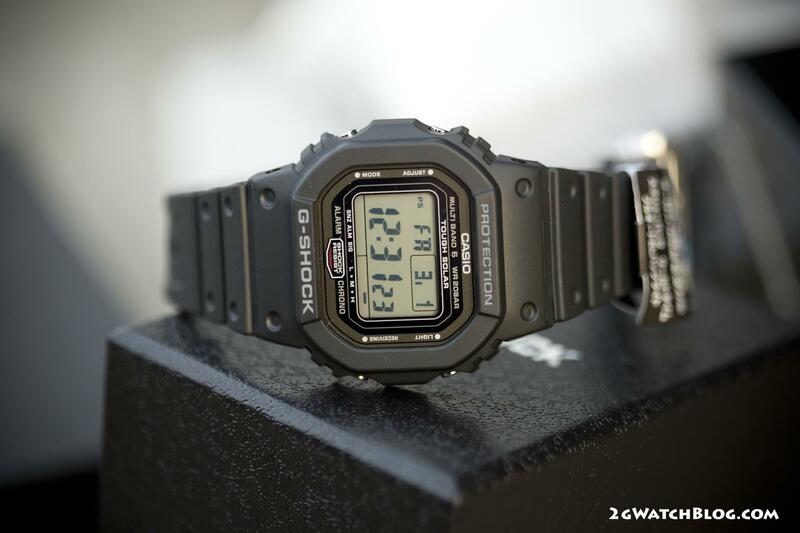 Yes, I had such a sudden desire for square from Casio. 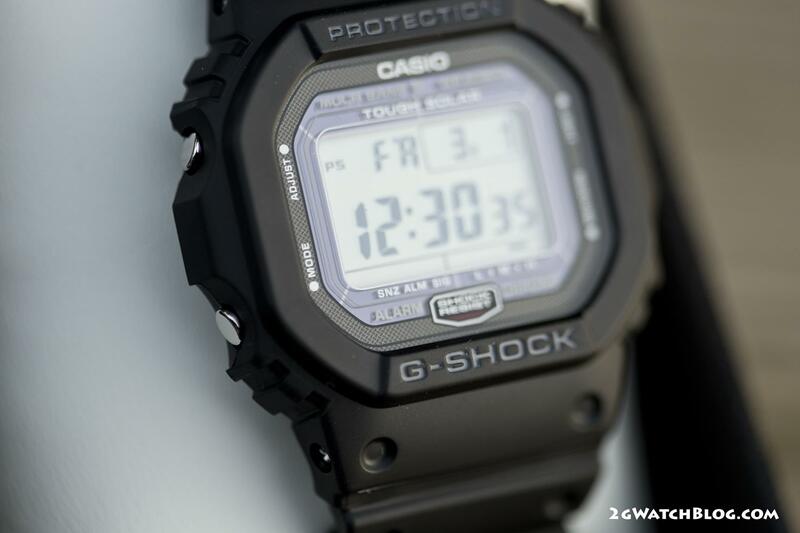 As I never go into half measures, I immediately bet on the model, considered by many to be the best G-shock square. The idea was that the watch was to help me measure breaks while exercising at the gym (many options stopwatch, timer etc.) 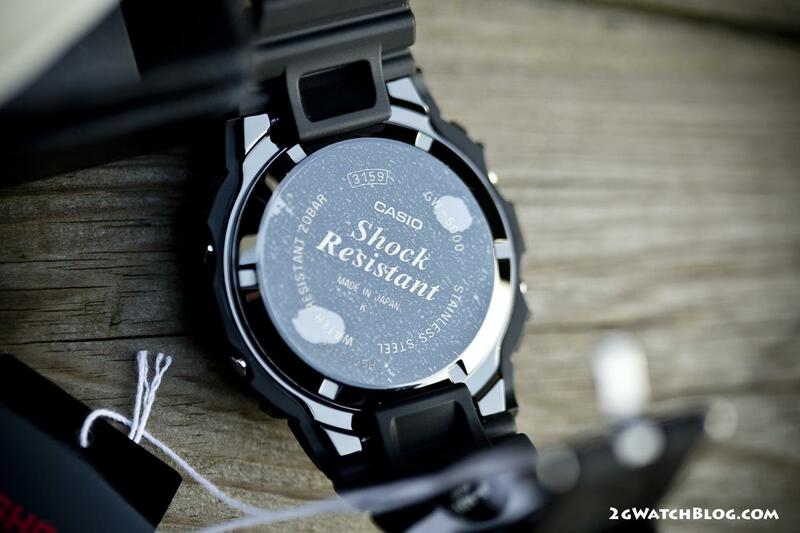 unfortunately, even before the watch reached me I knew I wouldn’t wear it … Oh, I just changed my mind. 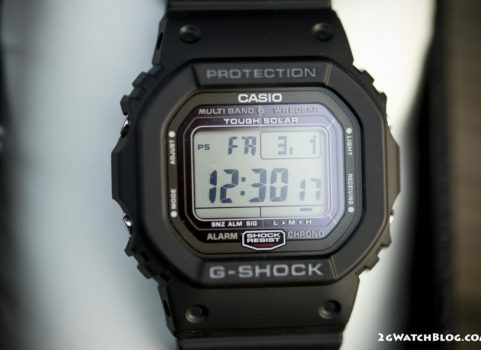 When the watch arrived, it failed to convince me. 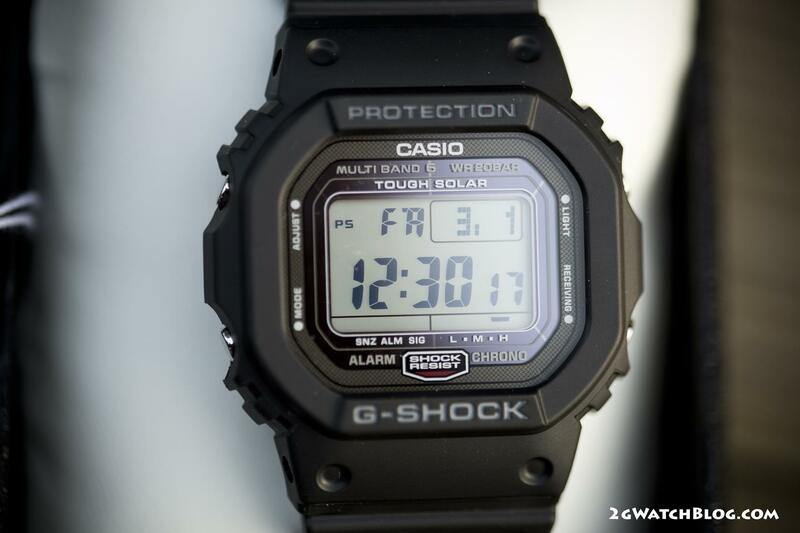 This model probably has all the possible things that have squares from Casio, i.e. solar, radio synchronization with atomic clock, screw-in case back, steel case, autolight, counters, stopwatches, alarm clocks etc. 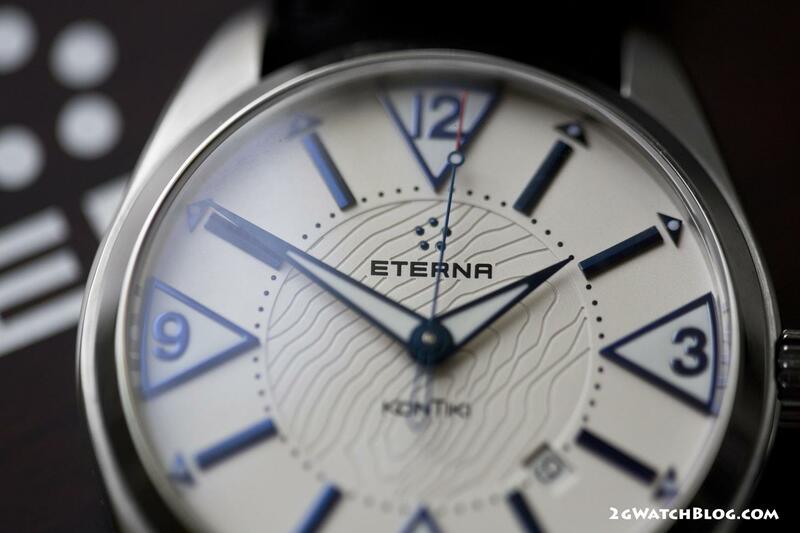 This model is well known among Eterna fans – an older version of the so-called. big triangles are now impossible to buy in stores and are currently very much sought after. The watch came to me through exchange for another and did not make a long place in my inbox. His colors made me hoping that he would be able to be my suit watch, but after the live meeting it turned out that this watch does not fit well. 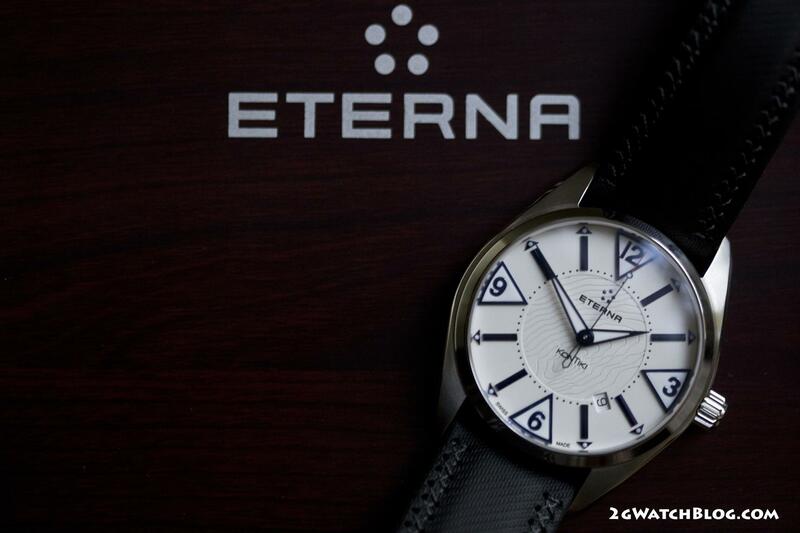 First of all, it’s thick … too thick for an elegant watch. 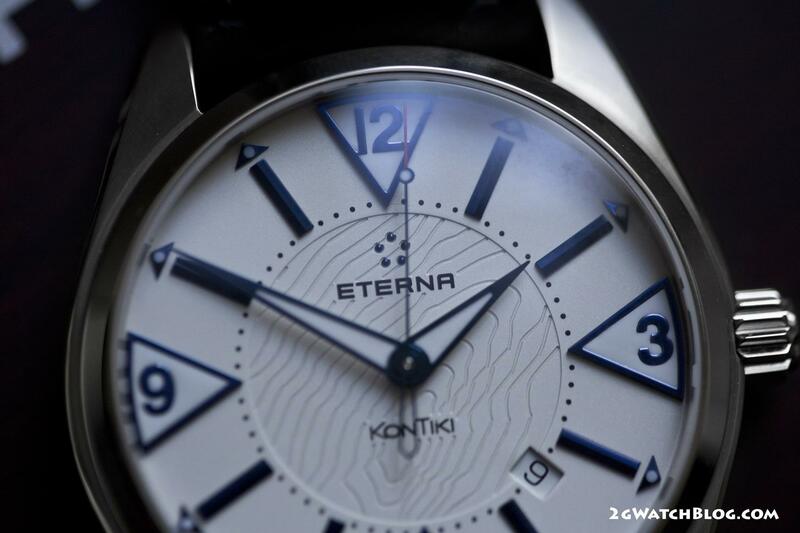 In KonTiki, I also did not like the indices – they looked artificial and kitschy through the lume on it (the white shade of the lume is different from the white color of the dial). 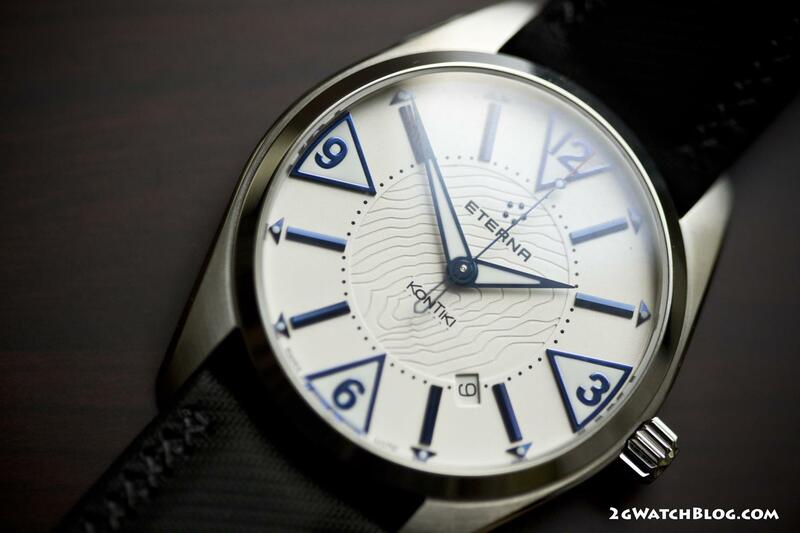 The dial, in spite of having a pattern, is in my opinion without expression. 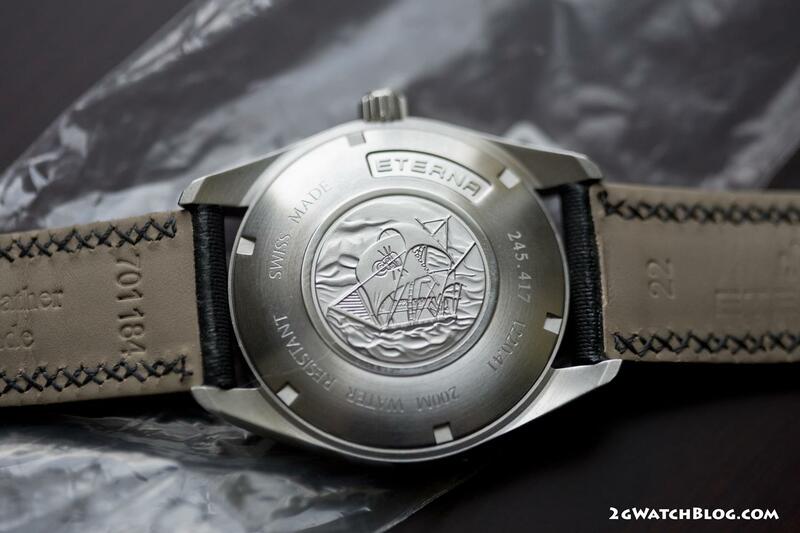 The coolest part of the watch is the case back but the case back alone is not enough to let me keep any watch for longer, especially in this budget …. We bought this watch with Tomek as if in half, I found the bargain for it (I liked its color and I was looking for a chronograph at this time) and bought, but it was supposed to be for him because he has a bigger wrist and the fact that he liked it, too (he would give me money later). However, when it came, it turned out that none of us wanted to keep it. 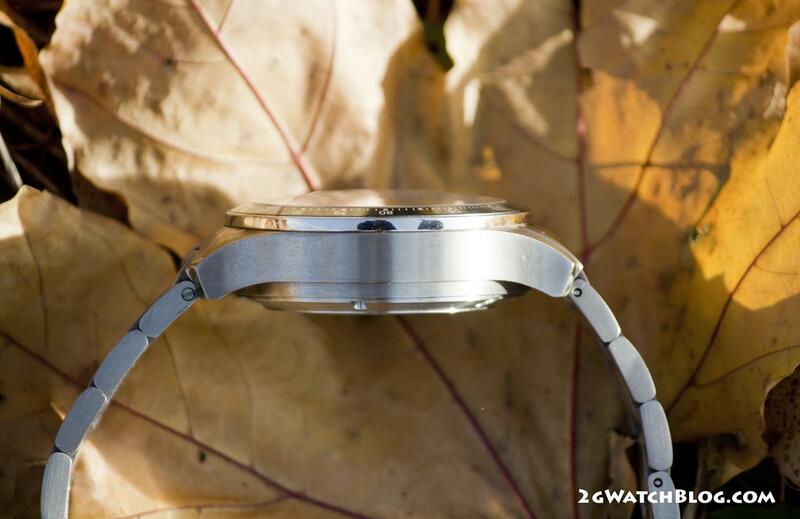 The watch is big and, above all, thick, the sides of the case are straight and thus the thickness of the watch can be seen even more. 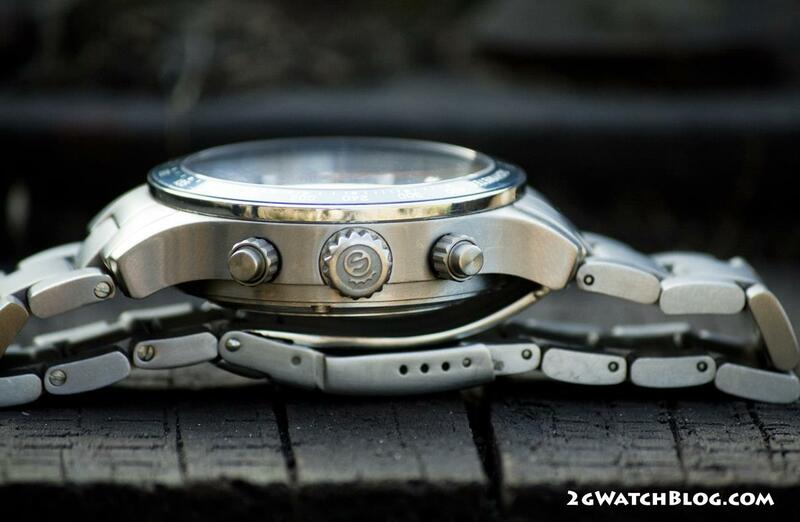 The case and bracelet are made of titanium so the watch is lighter than it looks that it should be. Titanium has a cool, satin color and quickens scratches than steel, but if the surface is brushed it is easy to restore its look of novelty using a metal nonwoven or dishwashing sponge (this rough side), so for resourceful this is not a problem. 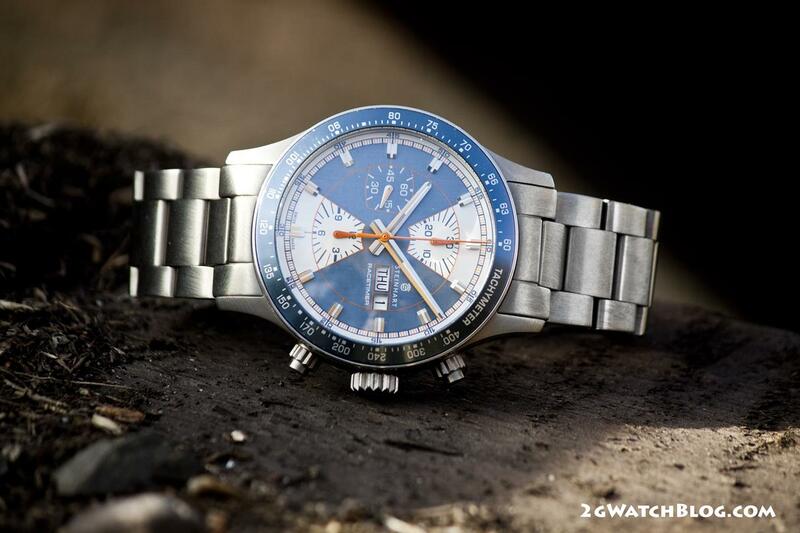 We had remarks about the work of the chronograph – the minute subdial hand didn’t hit the indices after exceeding 15 minutes. 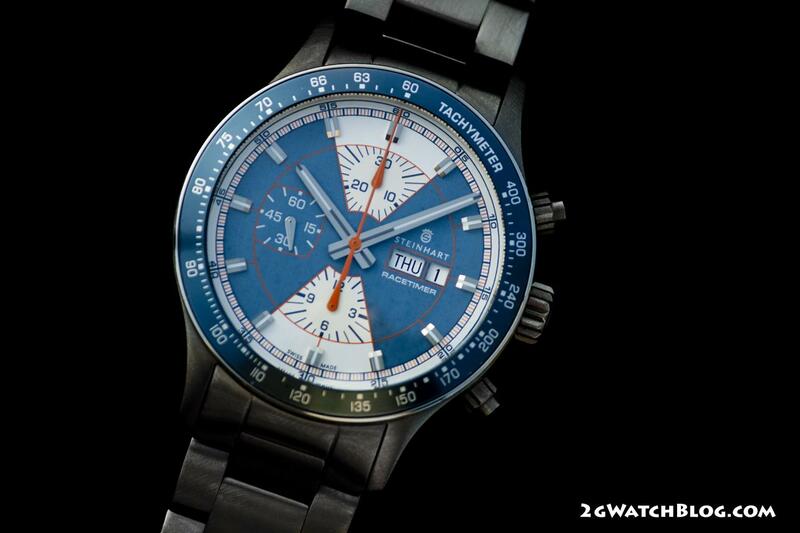 However, in general, the watch is interesting, well done and we both remember it nice.